Outstanding year-round mountain views! Build site has been graded, a 4 Bedroom septic is installed & 7 GPM well has been dug & ready for your pump. Build site is nearly level with a gentle slope off towards the view so one could plenty of a garden space as well. 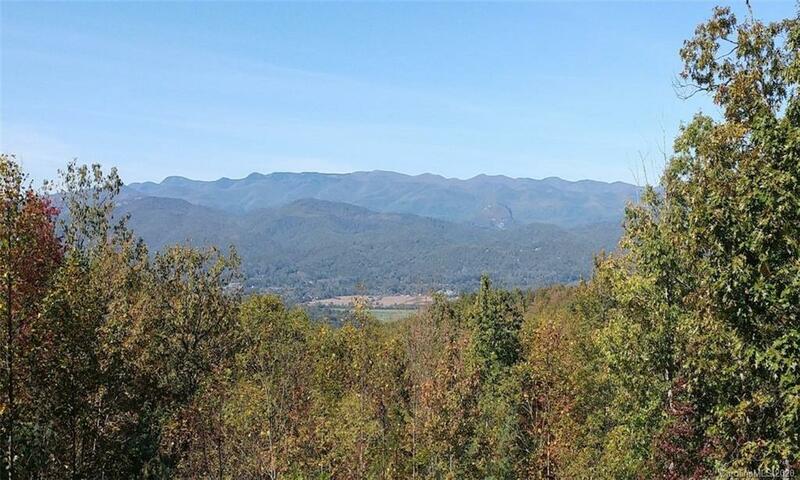 You will enjoy the views of the city of Brevard & the Pisgah National Forest. Looking Glass sits almost dead center of the view & what an impressive view. At night you can see cars on the parkway as well as the soothing sparkle of city lights afar off. This is the highest peak in all of the surrounding areas at over 3100 feet. Included at this price is a 2-foot topographical survey so your architect is ready to go, or a full set of build plans are available. The seller was going to build about 2400 Sq Feet & a 3 car garage. The lot is just 12 or so minutes to DuPont State Park, & maybe the same to WalMart & maybe 14 to groceries & dining in Brevard. Hendersonville is just a 25 min drive and Asheville about 40. What a view!